Welcome to this lovely Cypress Creek home in Southshore. 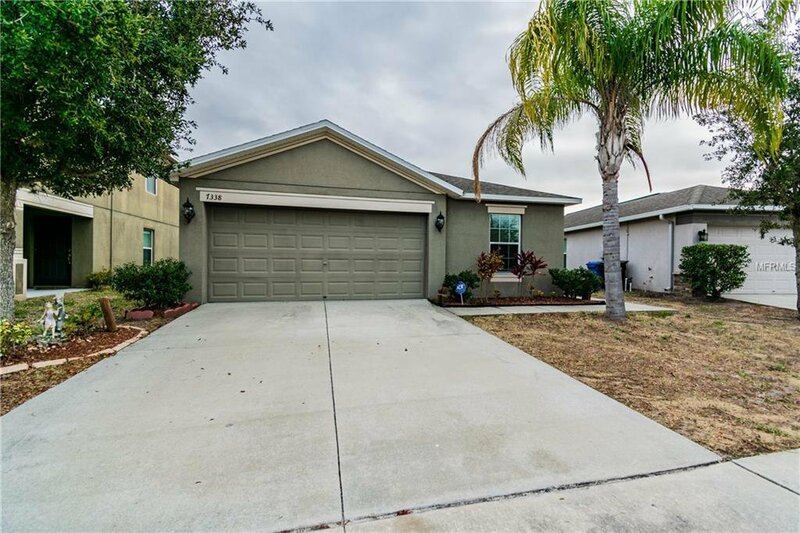 This home features three bedrooms and two baths with one room nicely nestled away from the master bedroom. Walking into the home you enter a gracious great room that expands into an open kitchen with an eat-in nook. For more formal dining another eating area awaits you off of the great room. As you enter into the hallway, the master bedroom is to the right and an additional bedroom is to the left. Outside of this home enjoy all the wonderful amenities that Cypress Creek community has to offer: pool, tot lot, walking trails, dog park and so much more. Listing courtesy of KELLER WILLIAMS TAMPA PROP.. Selling Office: MAVREALTY.